White patches on skin are a characteristic symptom of vitiligo, a skin disorder that causes the destruction and/or malfunction of the pigment-producing cells. Often these patches are present on the body parts that are most exposed to the sun, such as the arms, hands, legs, feet and face. White patches can also occur at the navel, armpits and genital region. In addition, persons with vitiligo typically exhibit early greying of the hair. It is estimated that 1% of the USA's population have vitiligo, and in total around 100 million people worldwide suffer from this condition. It is still not known for sure what causes vitiligo. The main theory is that vitiligo is an autoimmune disease, which results in the body's immune system attacking the melanocytes (pigment-producing cells). In fact, people with another autoimmune disease such as hyperthyroidism and adrenocortical insufficiency are more likely to suffer from vitiligo. Some researchers also believe that events such as severe sunburn, certain medications, and emotional stress can trigger vitiligo. In addition, there appears to be a genetic component as well. There are a number of treatment options for vitiligo; however, all suffer from high rates of ineffectiveness and risk of side effects. Furthermore, most are long-term therapies (e.g. PUVA therapy requires bi- or tri- weekly visits to a specialized clinic for weeks or months) and are not generally paid for by insurance companies. This often makes these treatments too expensive for most patients. One of the most basic treatments is topical steroid therapy, which involves the use of steroid cream on the white patches of the skin. This may help to re-pigment the skin; however, results come very slowly (after several months). In addition, steroids are associated with a number of side effects, including a weakened immune system and skin irritation. A more advanced treatment involves photochemotherapy in combination with oral or topical psoralen. Although this approach is generally more effective than steroid therapy, it is also much more time-consuming, expensive and is associated with severe side effects including skin burns, eye damage and skin cancer. There are also a number of surgical therapies for vitiligo, such as skin grafting. Again, this is not always effective as the graft may be rejected. Surgical procedures can also have complications such as infections, scarring, and 'cobblestoned' skin appearance. A much better and safer option is to cure vitiligo using a holistic, natural approach. This involves using herbal extracts to halt the spread of vitiligo and combination therapy with vitamins (three vitamins appear to be particularly effective) to stimulate the melanocytes to start producing pigment again. This should be combined with dietary and lifestyle changes (such as avoidance of certain foods) to ensure a fast and permanent cure from vitiligo. 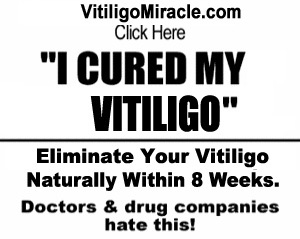 Using such a holistic approach can permanently cure vitiligo in just a few weeks. Best of all, such a method is free of side effects because no artificial chemicals or medications are used. The most famous proponent of such as system is David Platrow, a certified nutritionist, health consultant and independent medical research. David is the author of "Vitiligo Miracle" www.vitiligomiracle.com, a step-by-step guide on how to cure vitiligo naturally and safely. Vitiligo causes the death of cells which produce melanin that gives colour to skin or hair. Treatment of vitiligo ensures the restoration of the colour of skin. If you are looking for the best clinic for vitiligo treatment in Punjab then you can visit Dr Mohan’s Skin & Hair Centre.